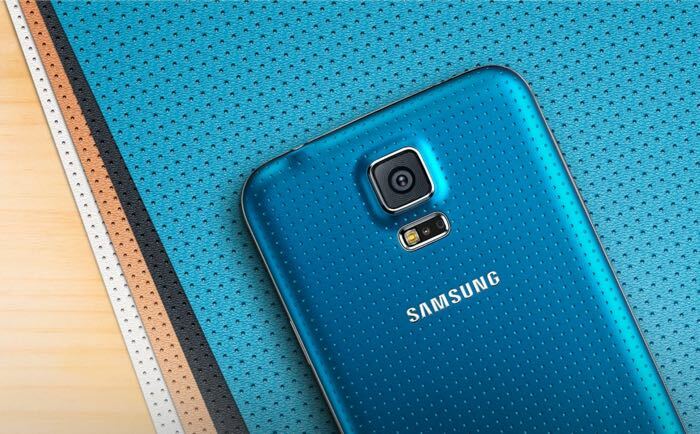 Previously, we heard that Samsung is apparently holding an event on March 2nd where the company is rumored to take the wraps of their upcoming flagship device, the Samsung Galaxy S6. A new report from the folks at BGR, citing their “trusted source”, revealed the complete set of specifications the Samsung Galaxy S6 will offer. BGR claims they were also sent some photos of the alleged device, but they were not allowed to publish them due to certain reasons, and instead, they revealed the complete set of hardware. There’s a 5.1-inch Quad HD display with a flaunting 2560 by 1440 pixels resolution with a 577 ppi pixel density, and Gorilla Glass 4 protection. As for the processing, there’s a “64-bit eight-core 14nm CPU which is 50% faster” and we’ve heard before that Samsung has reportedly dropped the Snapdragon 810 processor for the handset due to overheating issues, which LG denies for their latest LG G Flex 2 — it’s powered by the same chipset. Other notable features include a 20MP rear shooter for photos and videos with optical image stabilization, a 5MP front-facing camera, 32/64/128GB expandable storage, a 2,550 mAh battery, Cat. 6 LTE and Samsung Pay which will apparently work with “90% of existing magnetic stripe payment terminals, and NFC payment terminals.” Furthermore, it will also bring a new design language, gone are the days of plastic materials, the new Galaxy S6 is rumored to come with a metal and glass exterior. There’s no official word from Samsung about it, and there won’t be until the launch event so take this rumor with a grain of salt. We’ll update you as soon as we get to hear more about the upcoming flagship from the Korean company.